Fable II was one of those games that I anticipated for its co-op and was severely let down...so I determined that I would wait for a good deal and buy it for its single-player gameplay. Not only has that time come, it has come in the form of five easily digestible episodes, and the first episode is available...for freeeee! Xbox Live members can get their hands on this ~1.8 GB download right now. As in, this second. I wouldn't blame you one bit if you queued it up from work. I did. ** Xbox LIVE Gold membership required for online multiplayer. You just can't argue with a free game. 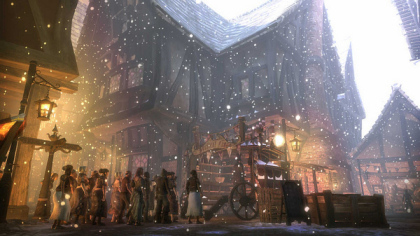 Fable 2 Roundup: Good, Evil, and... Flawed?